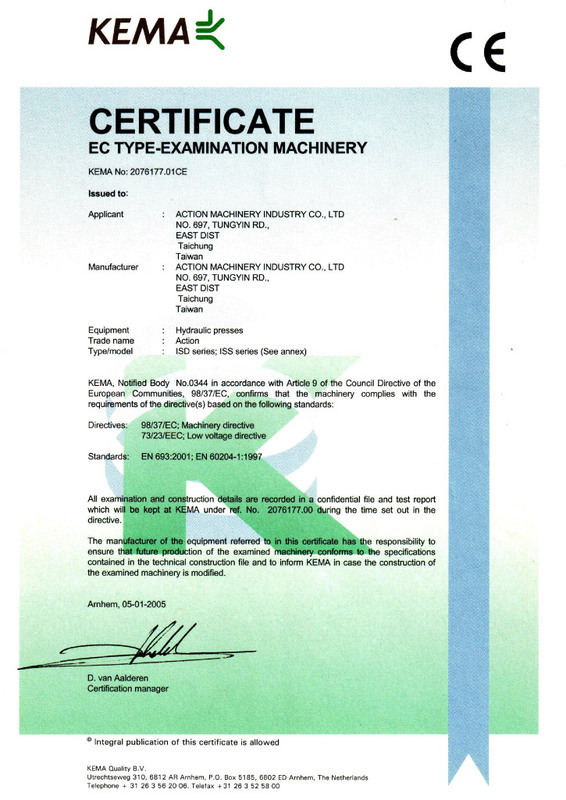 ACTION MACHINERY INDUSTRIES CO., LTD. “WETORI”has professionally manufactured hydraulic and process machinery for nearly two decades, with more than 30 years manufacturing experiences among our technicians. 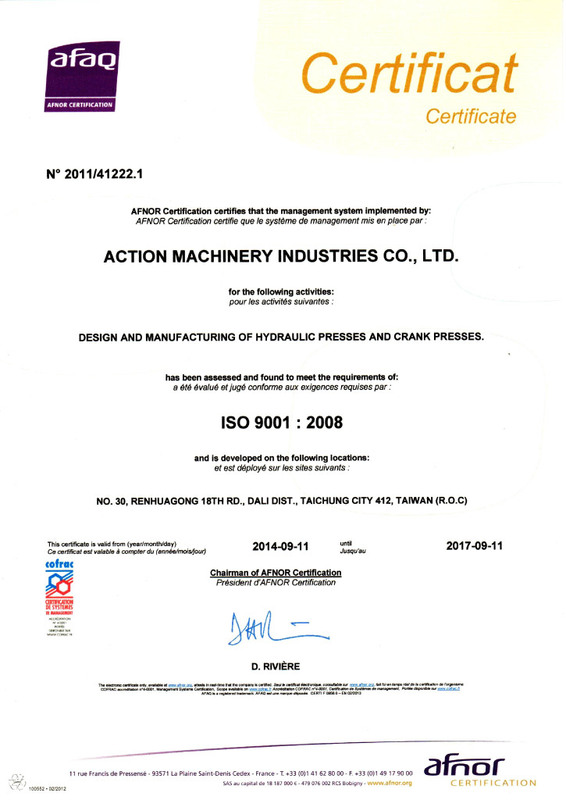 We primarily offer metal press forming machinery, designed for processing metal sheets for cars and motorcycles. We are also involved in a range of everyday electrical, kitchen, and bathroom products. 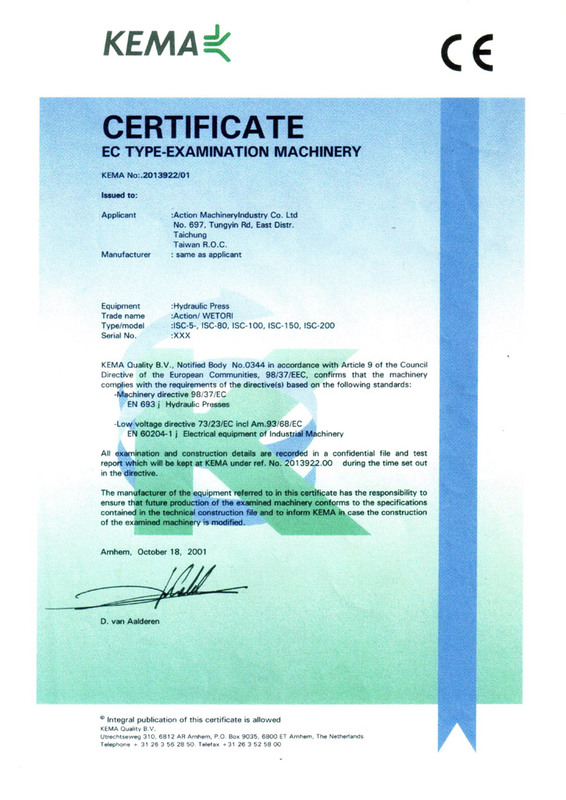 With expertise and experience in manufacturing precision machinery, we strive at developing and advancing our main product line of hydraulic presses and related mechanical presses. We believe that continuous development and improvement ensures that we have the highest quality machinery, and in turn, will further improve our market reputation.